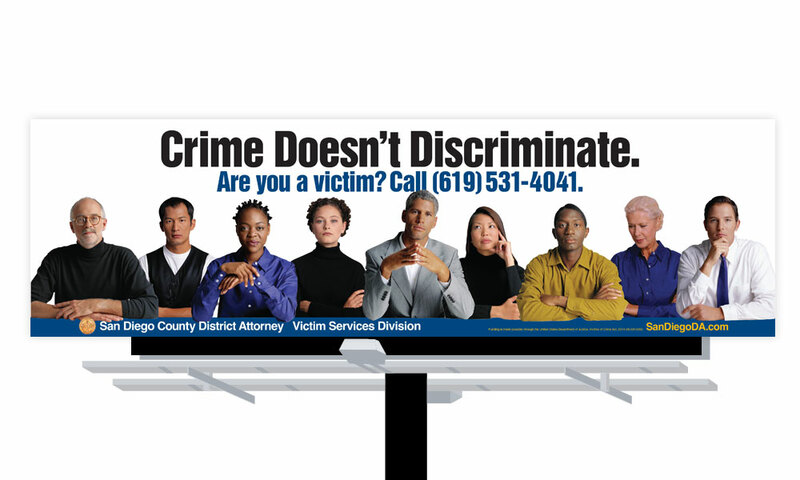 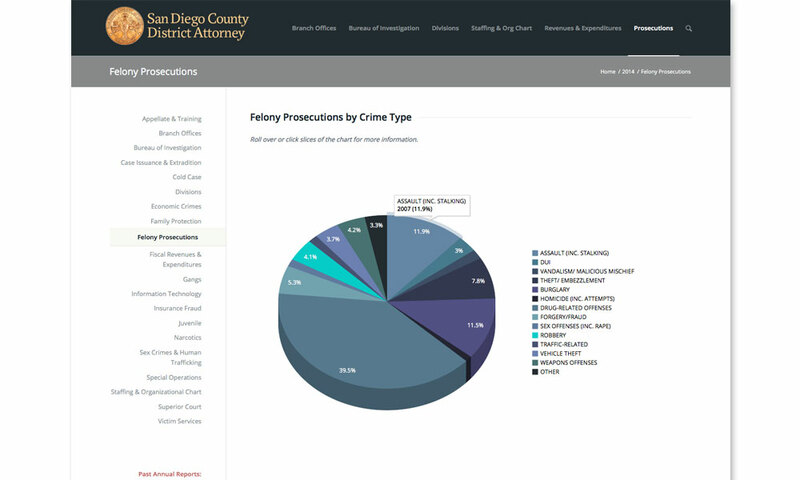 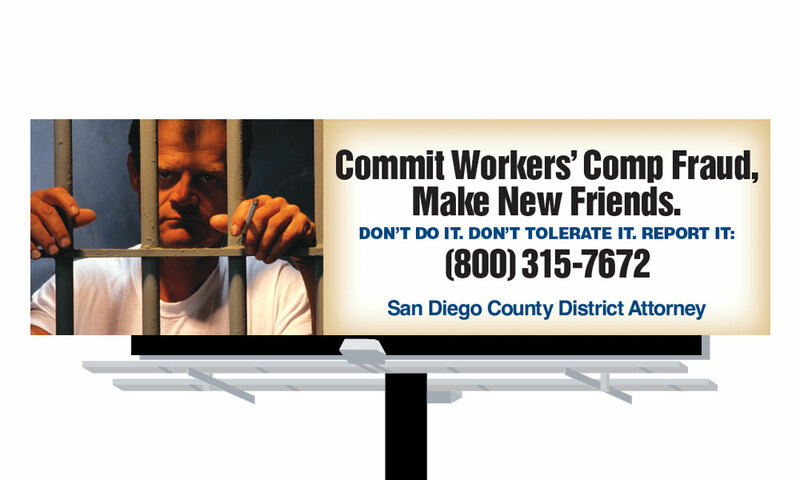 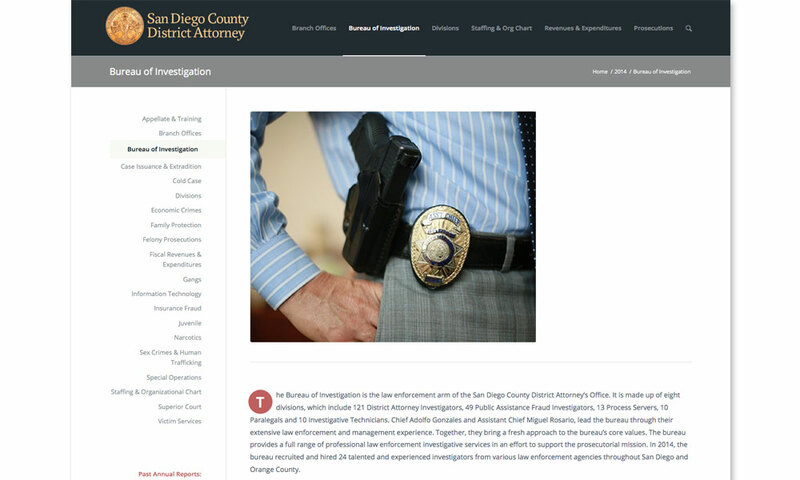 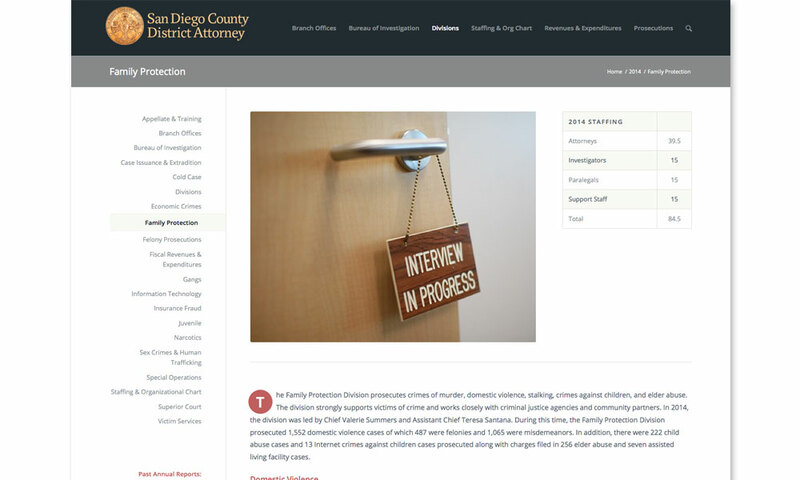 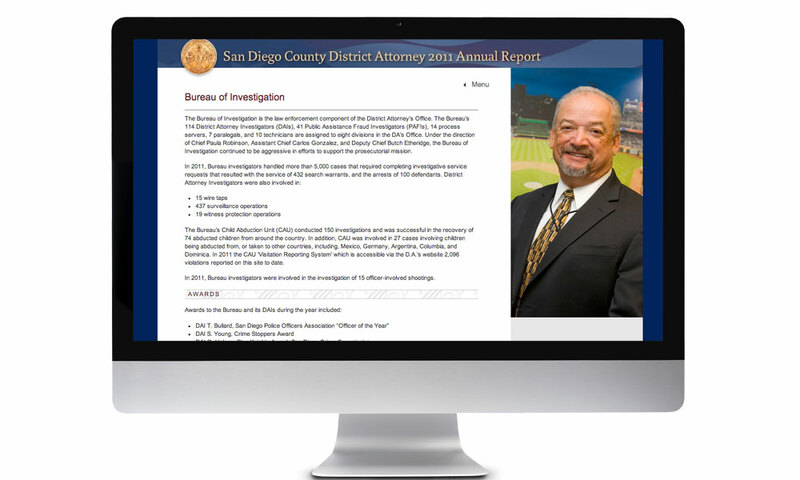 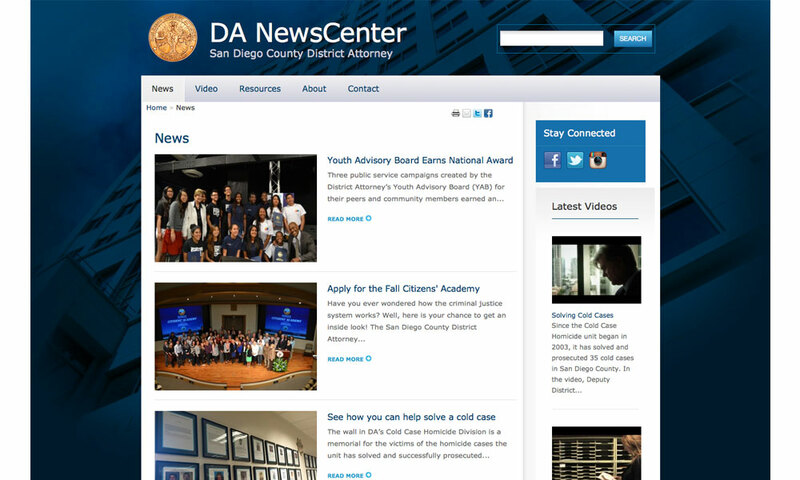 The San Diego County District Attorney’s office has a lot of good information to convey to the public. 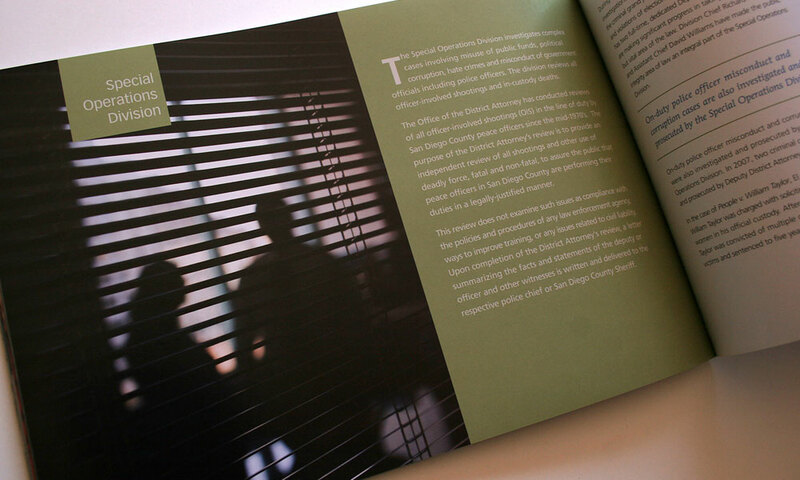 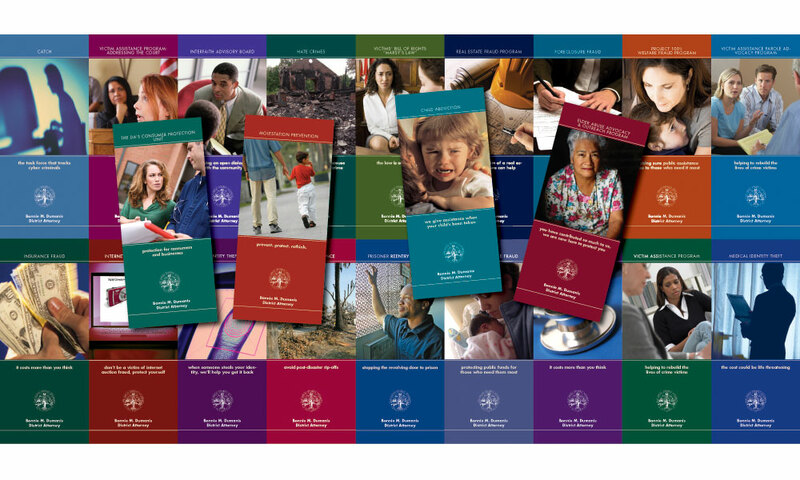 And they do so in the form of a series of educational brochures and through their annual reports. 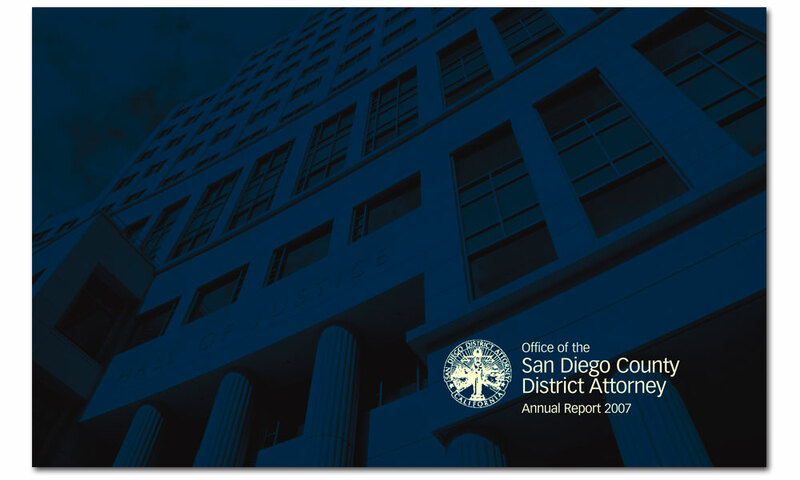 Initially annual reports were printed vehicles that told of accomplishments and the goings-on in the many divisions. 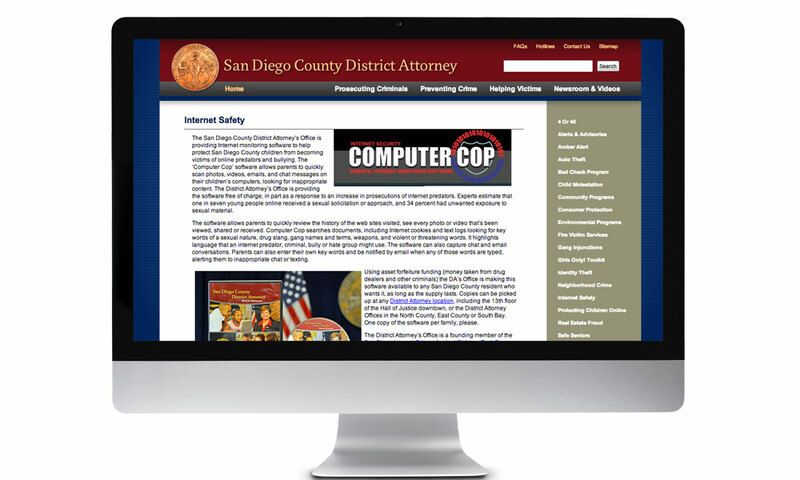 Eventually, this was redesigned as an online version. 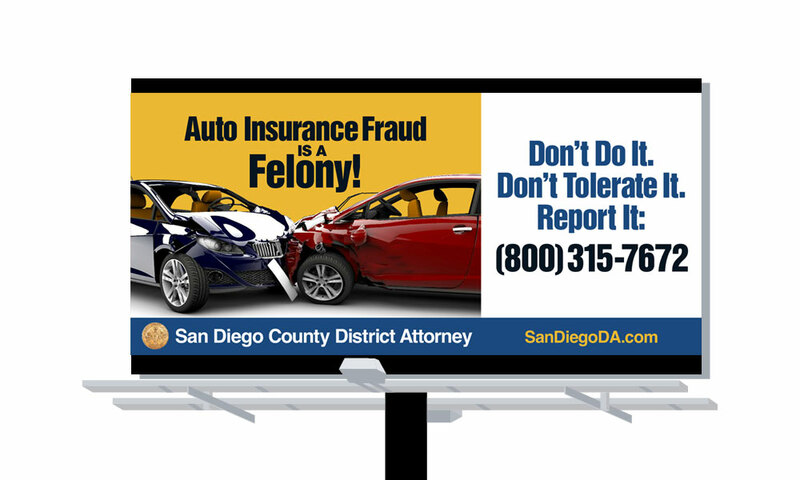 Additionally, we have worked with the DA to thwart fraud and have created billboards, busboards and posters to bring awareness of this crime. 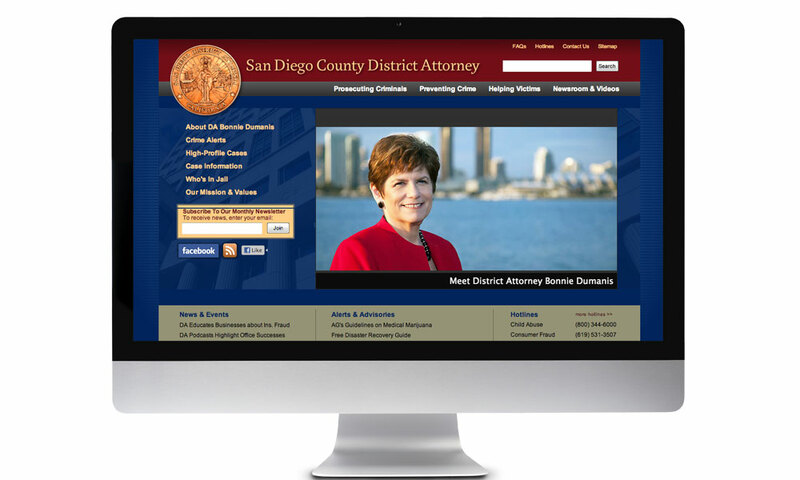 BrainShine developed the front-end design of an attractive consumer site with easy navigation for public use. 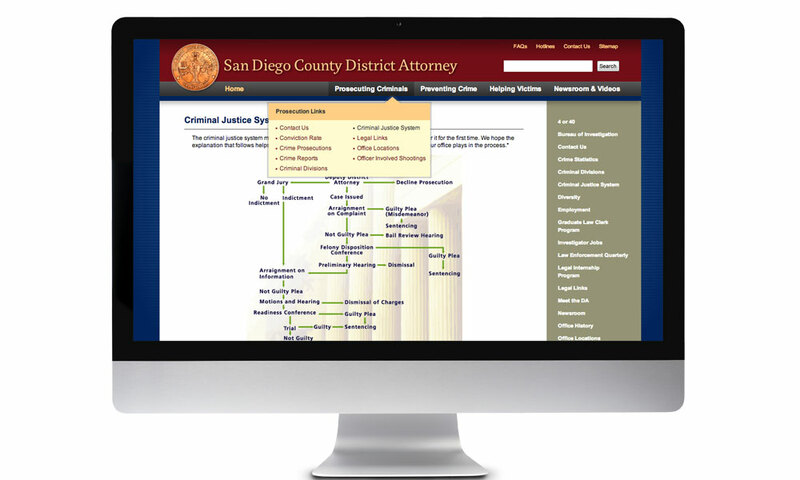 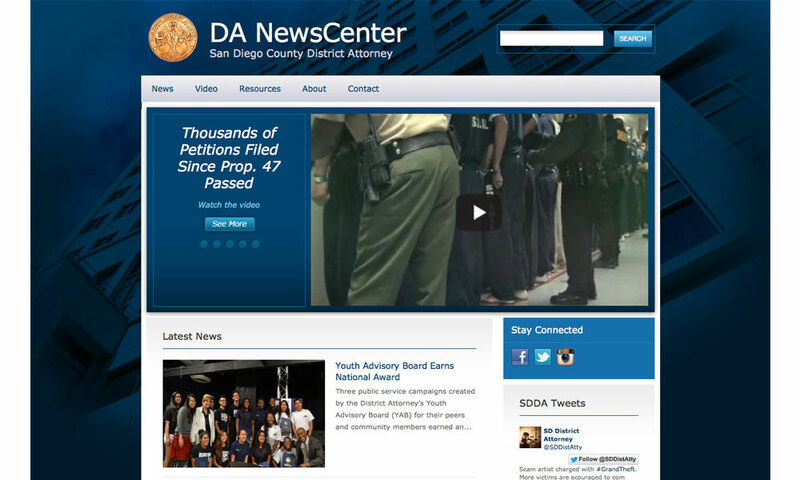 The site features CMS throughout and links to databases of key information. 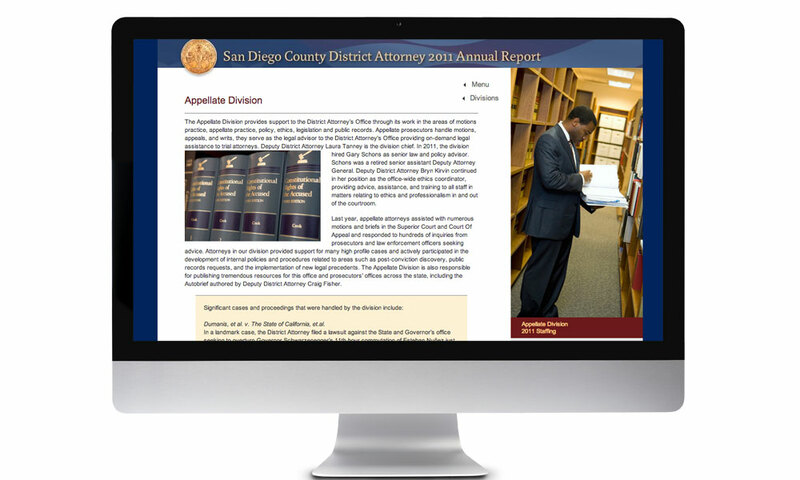 Some time ago, the DA moved from a tradition paper annual report to an online version. 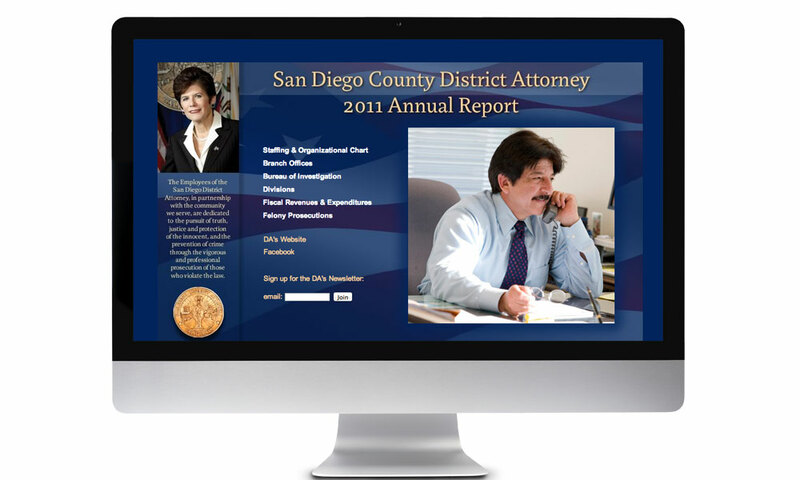 This was a major cost-saving move and gave the office a flexible way to tell their yearly story of accomplishments. 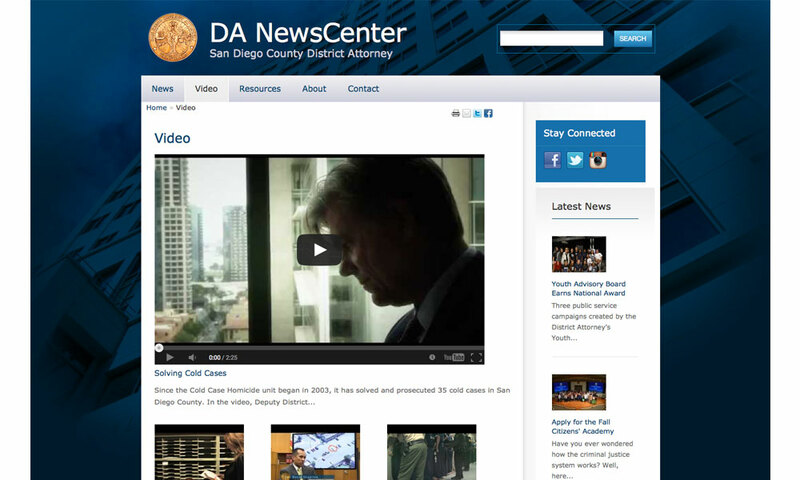 To keep up with the many stories and videos produced by Public Affairs, BrainShine crafted a News Center site for the DA team to quickly update current events.